We are at the threshold of the Autumn Equinox, another magical moment of this hyper-intense September, a month we can be grateful to experience despite the stress, because it was created by the Divine Order as a marking point between the old and the new, between the old selves, our overt and stereotyped patterns and the new ever-flowing process of transformation, which has always been there, but hidden and unconscious, not even being noticed enough to give it a place inside of us. 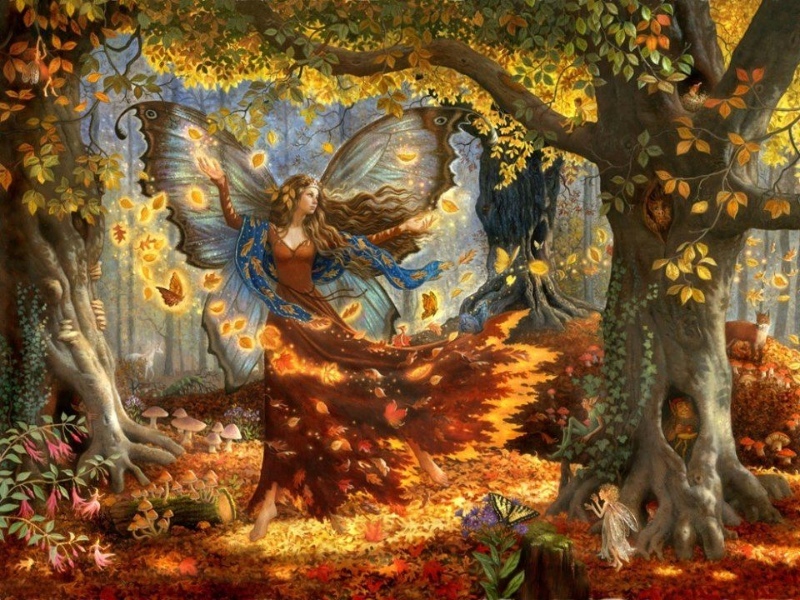 Thanks to the Portal of Autumn Equinox, the divine flow of inner light is coming to surface and will lead our way. The main effort until now was to move across every inner gap, of which we are more and more aware – between what we have left behind, that we are still leaving behind, and that quantum of light inside pushing to come out. Frustrations and a sense of inadequacy are symptoms of a research for balance, as we now need to create a new attunement with our newborn aspects of self. Equinox is a balance between opposites, a space of time welcoming us as into a cradle, where we can regenerate after the fatigue of the transformational process, so we can complete our cycle, each of us in his/her own way. The Equinox Rising Sign in Capricorn gives us the determination to step out of the old with the same frequency of light that fills this part of our Galaxy when at the Winter Solstice. There, the Sun emerges from the darkness of fall’s cycle of transformation of death and rebirth (the Winter Solstice occurs when the Sun enters 0° Capricorn). The Resurrection of Light in its new and revitalizing frequency makes its way within us. We are filled with a the delicate joy, surrounded by the same nuance of pink of a new skin healed from a deep wound. Saturn, the Soul Master, and Mars, the Spiritual Warrior are in Sagittarius (respectively 11 ° and 26 °) and focus their attention on the Priestess Moon in Gemini at 18 °, which becomes the Holy Grail for their masculine energy, opening up a nurturing dialogue between Male and Female, due to the circular nature of Gemini, constantly flowing from one pole to the opposite one and back. The opposition between Saturn and the Moon is very special for this Equinox because it is our soul that pays tribute to itself, thus fulfilling a long-chased path. Both Saturn and the Moon are linked to spiritual life and our mission in life, as they both represent and move into the unconscious. Their dialogue can inspire us to pay more and more attention to the subtle suggestions coming from the Self, sweetly encouraging us to step into our true life. That voice is expressing the longing for something we thought gone forever. It is our soul finally recognizing itself in what we have become so far, and we feel we are almost Home. The position of the Sun is in the House of Scorpio, the House of the cycle of death / rebirth, conjunct Jupiter, the largest planet of our system. They are the two Suns, which Gregg Braden talked about, among others, referring to the fact that Jupiter could also ignite and enlight. 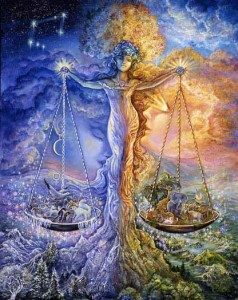 Now they are closed together in this Equinox, thus pushing out a great transformational process involving our relationships (Libra) that will be tested in their truth (VIII° House). Secrets could be revealed, thus bringing balance within couples. 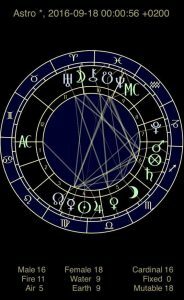 Chiron (the spiritual Healer) is in opposition to these two Giants in the II° House, retrograde in Pisces at 22 °. It represents our wounds that can healed by the love and light coming from the Sun and Jupiter, even if the opposition is not perfectly alligned. All the awareness available in this planetary aspect could bring out old sorrows from our heart. This is the chance to heal the Inner Child that can make peace with his/her Father and he/she is allowing himself/herself to go back home. We can make a profound peace within our family, even if our parents are gone, as this healing takes place in the VIII° House VIII, also referring to those who are not among us any longer. Another curious aspect is given by the opposition of Venus in Libra (grace and harmony) with Uranus in Aries (energy and lightning), positioned respectively between the House of Knowledge (IX° House) and the House of Daily Life (III ° House). It is time to enjoy freedom, going where we feel there is beauty. This dialogue is emphasizing the urgency of leaving behind what is now more than gone, looking for a new development away from home, beyond our fears. It is a chance to leave every kind of fear behind, walking forward until we reach our goal. Maybe it is not clear where we are heading and why we have to go, yet the road (both real and metaphorical) is calling us and it is not possible to say no. We are being born again, coming out of a tunnel, as we already did landing on this planet, when we took our first breath.